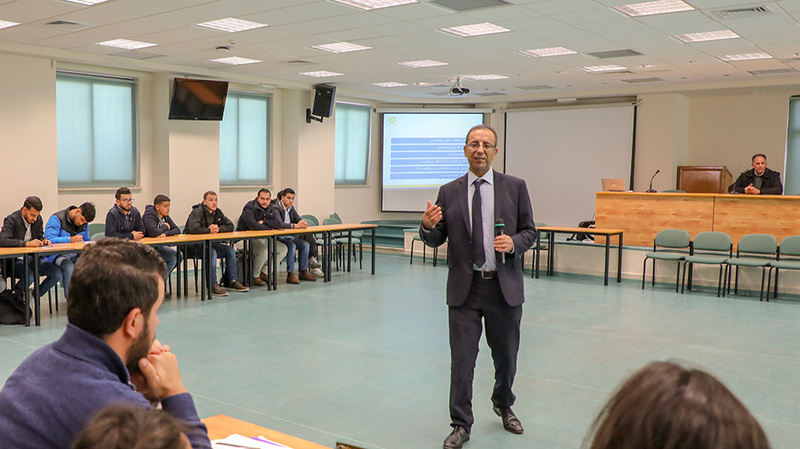 Eyad Nassar, head of the Supervision and Inspection Department at the Palestine Monetary Authority - the emerging central bank of Palestine - gave a lecture on the principles and objectives of banking governance and its realities in Palestinian banks at Birzeit University. 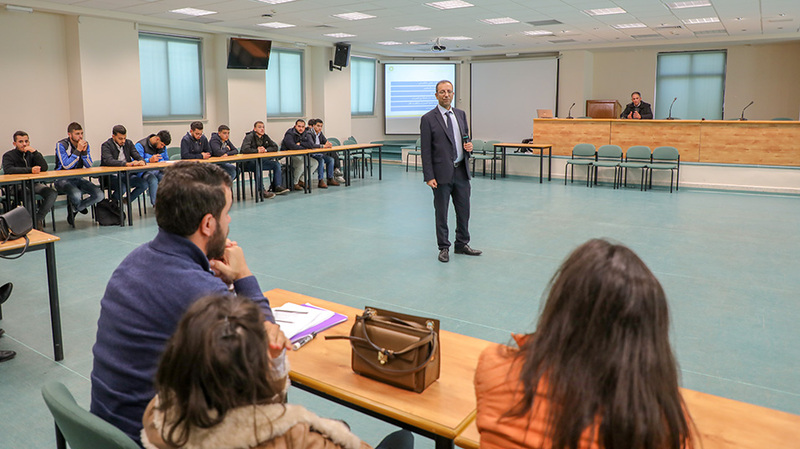 In the lecture, organized by the Department of Accounting and held Monday, December 4, 2018, Nassar gave an overview of banking governance principles, saying that they were the center of attention after the 2008 financial crisis, which occurred partly due to poor governance. The relevant organizations and agencies - headed by the Basel Committee on Banking Supervision - drafted a number of principles and rules in 2010 that ensure good banking governance and address the shortcomings of the old system of governance; mainly, poor control and monitoring over senior bank management personnel by their respective board of directors, poor risk management, and substandard management of the rewards and incentives system. The Palestine Monetary Authority, said Nassar, is continually working to adopt and disseminate the best banking governance practices. The authority revised the “Corporate Governance Guide for Banks in Palestine: Rules and Best Practices” and updated it with the standards of the Basel Committee on Banking Supervision and the decisions taken by the Board of Governors of Central Banks and Arab Monetary Institutions at the Arab Monetary Fund. The guide, noted Nassar, includes a set of important principles that contribute to the improvement and development of bank performance, and ensures optimal exploitation of resources, product diversification, and promotion of confidence in the banking system.